The Best of Enemies is a biopic that tells the dramatic story of the 1971 charrette that decided whether or not schools should be desegregated in Durham, North Carolina. Automatically, this movie has the draw of being an inspiring story. The events of Durham are covered in most American history books, and The Best of Enemies gives an even more in-depth look at what went down during this historic decision. Unfortunately, the way that the story is told is not exactly ideal. The hero of the story is Ann Atwater (Taraji P. Henson), a well known civil rights activist who first pushed for black people to be able to attend all-white schools. This is very much her story, and the movie accurately displays this for about the first hour. However, as the movie goes on, the focus unfortunately moves from Atwater to the other big player in this historic decision. C. P. Ellis (Sam Rockwell) is on the other end of the spectrum in this case, being the leader of the local KKK group. Throughout the entire movie, Rockwell gave a phenomenal performance as Ellis, with his character receiving a great deal of development from beginning to end. While the development of his character is rather fitting, both for the narrative and for the historical accuracy, the amount of focus he received as the movie went on became a bit overbearing. By the second half of the movie, Atwater had changed from an active protagonist to basically a side character in Ellis’s story. During the last hour or so, Atwater really only made one active decision. For the rest of the time, she mostly watched everything happen and reacted, having minimal dialogue and screen time in her own movie. Instead, all of the focus was turned to Ellis, with him making nearly every decision that drove the A-story, B-story and C-story of the plot. While Rockwell played the part very well, and his character was written with grace and care, it ultimately felt disrespectful. The movie and the historic events are Ann Atwater’s story, yet the movie basically portrayed her as a side character who was really only there to influence the white male lead’s decisions and motivations. It was certainly disturbing that, given the actual events of what went down, the movie about the decision in Durham, North Carolina basically featured a Ku Klux Klan leader as the protagonist. The redeeming qualities of the movie were the performances. 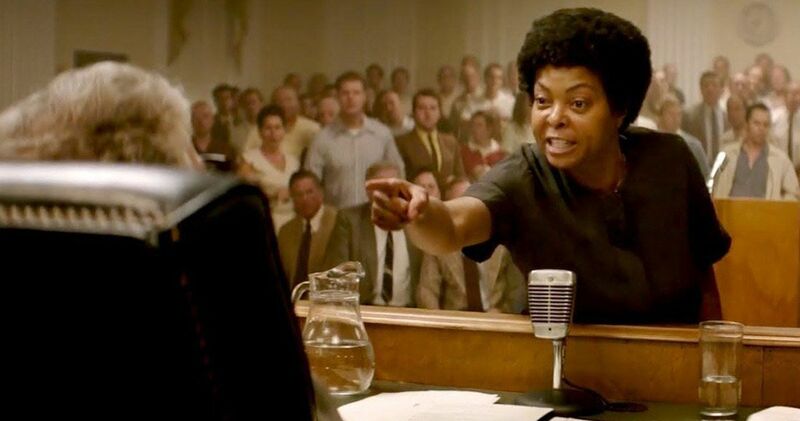 Across the board, every actor in play gave a stunningly emotional performance, particularly Taraji P. Henson, who practically transformed herself for this role, making her almost unrecognizable in both appearance and attitude. Even the side characters gave great performances, with the intensity of certain scenes feeling real in the faces of the cast. All things considered, The Best of Enemies does portray the inspiring change made in Durham, North Carolina adequately, with the cast and character development making the events feel real on the screen. However, some of the decisions on where to put the focus ultimately made The Best of Enemies feel hypocritical and disrespectful, almost as if this movie from STX Films put the focus solely on Sam Rockwell just to be Oscar bait.